June 21, 2013 - PRLog -- SGS was awarded a contract by Eko Energija and EnerCap to provide on-site owner's engineer and construction supervision services for the building of a 42MW wind farm in Obrovac, Croatia. Eko Enerjia Ltd (http://www.eko-energija.com/). specializes in the development of wind farms and other renewable energy projects whereas EnerCap Capital Partners supports clean energy (http://www.sgs.com/en/Energy/Energy-Sources/Wind.aspx) projects across central, eastern and south-eastern Europe with private equity investments. During the estimated fourteen-month project, five SGS experts will be performing quality supervision and inspection for the facility's fourteen 3 MW wind turbine generators (WTG) in order to ensure compliance with design specifications and local Croatian legislation. From the initial design phase, right through to construction and operation, the combined skills of the SGS team of multi-disciplinary specialists performing owner's engineer services (http://www.sgs.com/en/Energy/Power-Distribution/Construct...) (http://www.sgs.com/en/Energy/Power-Distribution/Construction/Contract-Engineer-Services.aspx) on-site in Obrovac will conduct effective professional management, helping to ensure that agreements between Eko Enerjia and any main contractors meet all required and contractual conditions. 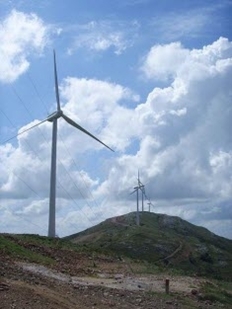 Throughout the contract, SGS will provide Eko Enerjia officials and EnerCap investors with independent monitoring of the project schedule and delivery of the mandated technical specifications guaranteeing installations, materials, equipment, facilities and the complete project fulfill all quality (http://www.sgs.com/en/Energy/Energy-Sources/Wind/Services...) and performance requirements, whether regulatory, voluntary, legal or customer-based. SGS owner's engineer services for the wind sector (http://www.sgs.com/en/Energy/Energy-Sources/Wind.aspx) will ensure that every contractor involved in the Obrovac project meets all necessary and contractual conditions in terms of technical parameters, quality of equipment and works, scheduled time and contracted price. These particular SGS services will also provide the Obrovac wind farm owners and operators with solutions allowing for the efficient and comprehensive monitoring of project progress. SGS comprehensive owner's engineer services encompass the inspection of materials, quality control and quality assurance during civil foundation and electrical installations, construction supervision (http://www.sgs.com/en/Energy/Energy-Sources/Wind/Services-in-the-Transportation-and-Installation-Phase/Construction-Supervision.aspx), expediting, witness testing at manufacturing sites as well as commissioning supervision (http://www.sgs.com/en/Energy/Energy-Sources/Wind/Services-in-the-Transportation-and-Installation-Phase/Construction-Supervision.aspx). SGS is proud to assist both Eko Enerjia and EnerCap in this distinguished project providing clean energy to the citizens of Croatia.